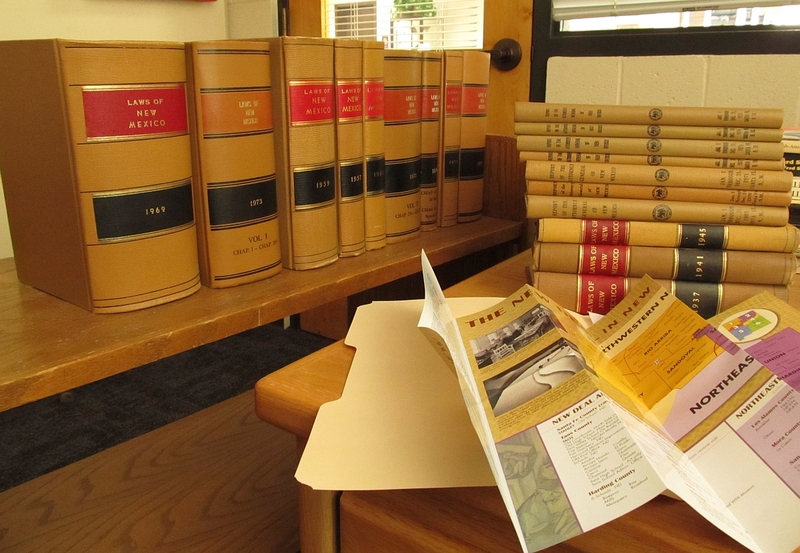 Lots of old law books, covering 1937 to 1973 (thankfully, most of these will be complex copies from OCLC). Also, in the foreground, is one of 3 maps that I will be cataloging from scratch about New Deal sites in New Mexico. Regions 1 and 2 are pictured, covering the northern third of the state. If you ever wonder what your librarian is doing when s/he is sequestered in his or her office, the desk probably looks similar to mine.